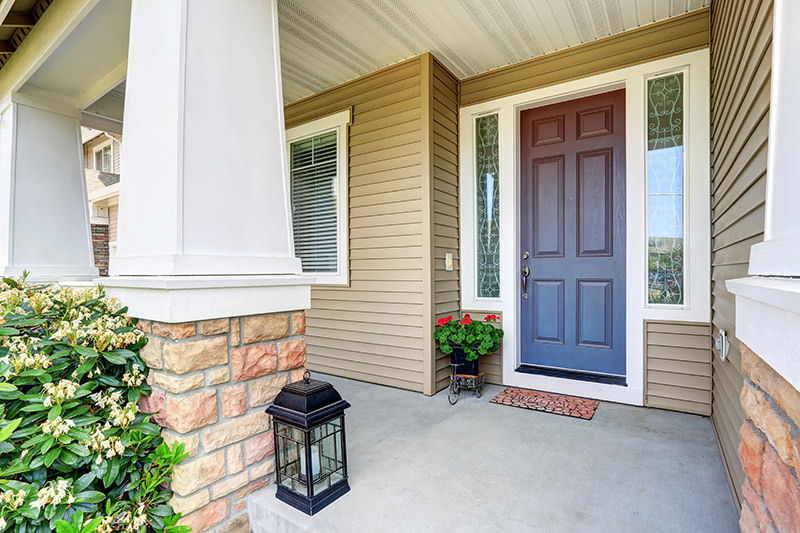 Are you looking to improve your home’s privacy? Window coverings might be the perfect option for you. They protect your home from wandering eyes which will limit the chances of you being burglarized. That’s not all coverings do. They can also improve the overall look of your home. Some are even energy efficient and will help you save money on your energy bills. The key is to find window treatments that meet your needs. That’s where Feldco comes in. We’re window experts, including window treatments. We’ve come up with some great window covering ideas that you can check out below. Curtains are a great way to spice up your home both inside and out. In fact, they can be the focal point of an entire room. That’s not all – window curtains can also improve your home’s energy efficiency. Since they’re so thick, they can trap heated and cooled air in your home and keep outside temperatures out. However, before you can get new curtains for your home, there are a few things you need to know first. You first need to know where you want your curtains to fall. They can stop at the window sill or continue all the way down to the floor. There isn’t a right or wrong answer to where they should fall – it’s completely up to you. Also, you need to determine how much extra curtain you’ll want to hang on each side. This is called stacking. You can have the curtains end at the edges of your window or you can have extra on each side. Getting proper measurements is key to having beautiful curtains. There are many different components you’ll need to measure for. Start with the curtain rod. The size of your curtain rod is dependent on how much slacking you’ll have on each side. Once that’s determined, you can measure the length a few inches above the head of your window frame. When measuring for curtain width, you’ll want to measure from the left of the rod all the way to the right. This will account for your desired slacking as well. If you haven’t installed the curtain rod, measure from the outside of the window frame on the left to the outside of the window frame on the right. You’ll need to add a few inches to each side to account for slacking. For the length, measure the top of the rod to the point where you want the curtains to lie. Much like the width, if you didn’t install the rod yet, measure from the top of the window frame to the point you want your curtains to lie. Don’t forget to add a few inches to account for the rod. Do You Want a Window Valance? Not all curtains have a window valance, but if you’re interested, you should be considering it at this time. Window valances are the decorative piece found on the top of your windows. Window valances are a great complement to your curtains and can even cover your curtain rod if you don’t want it to be seen. You’ll also be able to customize your window valance to your liking. There are many different colors, shapes, sizes and materials of valances available so there’s sure to be something you’ll love. Speaking of materials, your curtains can come in a variety of materials. 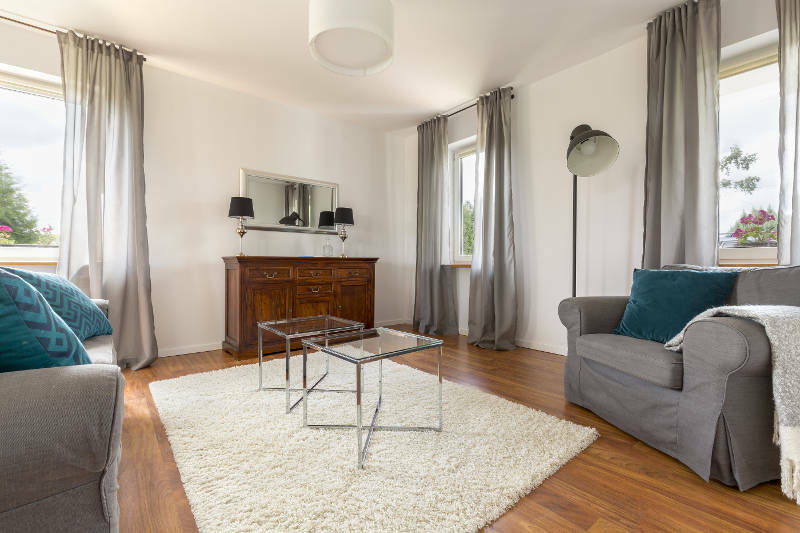 Many homeowners like silk or lacy materials because they prevent people from seeing in your home but they also allow sunlight into your home. However, you may prefer a thicker cloth material which has its own set of benefits. Since it’s so much thicker, you have better control over how much sunlight enters your home. Also, they’re more energy efficient and will trap heated or cooled air in your home, making it more comfortable year round. There’s just one other thing you need to consider if you choose to get thicker window coverings. 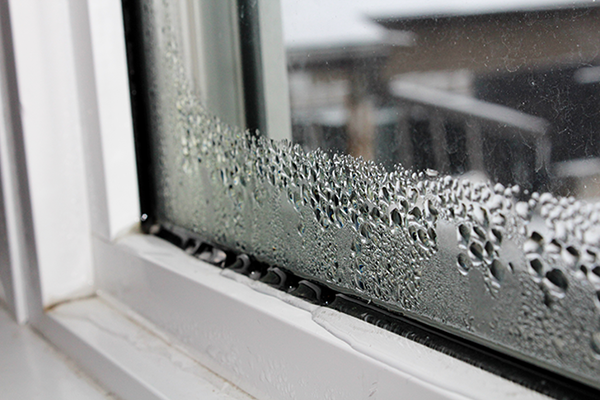 Window condensation happens when the heat of the inside of your home meets with the cold of the outside on your window. That’s why it happens often in the winter when the outside temperatures are at their coldest. This difference in heat causes your windows to “sweat” which is condensation. It’s important to note that the more energy efficient your windows are, the more likely they are to sweat. This is because they’re making your home air tight and keeping those cold temperatures out. Since thicker curtains and window coverings are so energy efficient, you can trap heated air against your windows making it more likely to sweat. Darker curtains also absorb sunlight which will make the air trapped by your curtain even warmer. Don’t worry, there are ways of preventing this from happening. First, you’ll want to open your curtains for a few minutes at least once per day. This will allow air to circulate to your windows better and prevents that hot air from being trapped against your windows. You may also want to get a dehumidifier because your home might be more humid and stuffy. This will help take the moisture out of the air and prevent it from forming on your windows. On days where it isn’t freezing cold, you can open your windows for a few minutes. This will ventilate your home better and help remove humidity in the air. Curtains aren’t your only window covering option. Blinds are often used as a window treatment in homes and there are just as many options available. We’ll go through some things you need to know about blinds below. 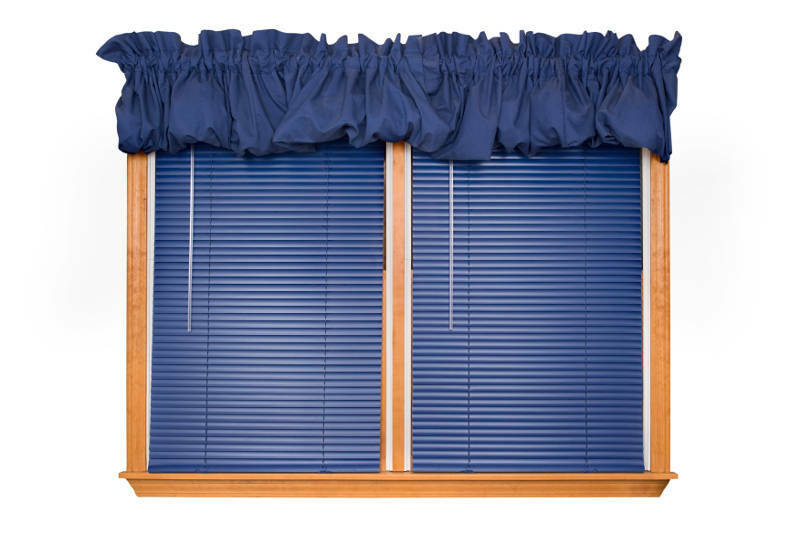 There are many different materials your blinds can be made from including wood, metal, cloth and bamboo. Each one has its own set of benefits for your home that you need to consider before choosing one. For instances, aluminum blinds are your cheapest option available and can look great in a modern style home. However, if you’re going for a warmer, more traditional look, you may want to consider wood blinds. Bamboo blinds are known for being the most organic option. Homeowners looking for a green and energy efficient option will want to consider going this route. If energy efficiency is something that’s important to you, you’ll want to consider honeycomb blinds. These are designed to keep your home comfortable year round and save you money on your energy bills. What makes honeycomb blinds so different? They’re designed differently than the other window coverings we’ve mentioned. Rather than being slits like normal blinds, they consist of hallow hexagon shapes (similar to a honeycomb which is where they get their name). This layered honeycomb design traps air in the individual cells. This makes them a barrier from the outside temperatures and keeps your heated or cooled air in your home. Blind cords are dangerous for homes with children. It may be hard to believe but each year, children die getting caught in the cord. That’s why homeowners are opting to go with cordless blinds. Not only are cordless blinds much safer but they also look much better. This is because there’s no tangled mess of cords hanging off the side of your window. Have you ever had a problem opening your blinds where one side moves up while the other doesn’t? It can be such a pain in the neck. That problem is eliminated with cordless blinds since they move seamlessly up and down. Window films are becoming one of the most popular window coverings with homeowners because they’re affordable and improve your home’s privacy. 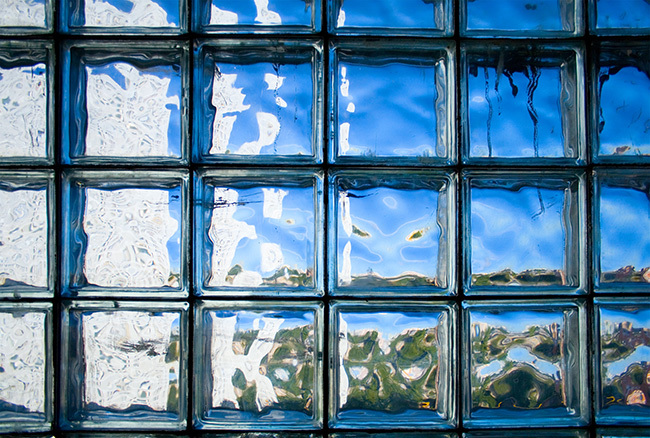 There are many different routes you can go with window film including etched, stained glass and frosted. You’re bound to find the perfect window film for your home. Plus, window film limits the amount of UV rays that get into your home. UV rays can fade your floors, walls, curtains, blinds and furniture. However, window film is completely unaffected by it. Since window film adheres to your current windows, it’s very easy to install and remove. When you do remove it, you don’t have to worry about it damaging the windows. What’s Trending With Window Coverings? That’s a lot of information to take in about window coverings – hopefully your head isn’t spinning. We’ll make things a littler easier for you. Below, we’ve listed a few window treatment trends to help you get started. Window treatments aren’t cheap but they’re a necessity. Thankfully, some homeowners have found a way to get around this expense. You can create your own curtains out of repurposed materials. For example, some homeowners will make their children’s curtains out of an old table cloth. If you’re crafty, you can create a completely custom window covering without spending any money at all. Many homeowners are adding depth and dimension to their window coverings by layering them – more specifically their curtains. They do this is by having a thin, silk layer covered by a thicker cloth curtain and a window valance on top. The key is to pick the right color scheme for layering curtains. Monochromatic, or the same color in different shades and hues, is a great way of pulling off layered curtains. They’ll be eye-catching and the center piece of any room. The Earth needs as much help as it can get so it’s no wonder that many homeowners are going green with their window coverings. Bamboo blinds are organic which means they’re eco-friendly. Honeycomb blinds are also a green option. Since they’re designed to trap heated and cooled air in your home, you won’t have to use as much power to keep your home at a comfortable temperature. Both honeycomb and bamboo blinds are also incredibly beautiful. They’re the perfect complement to any room or they can even be the focal point. 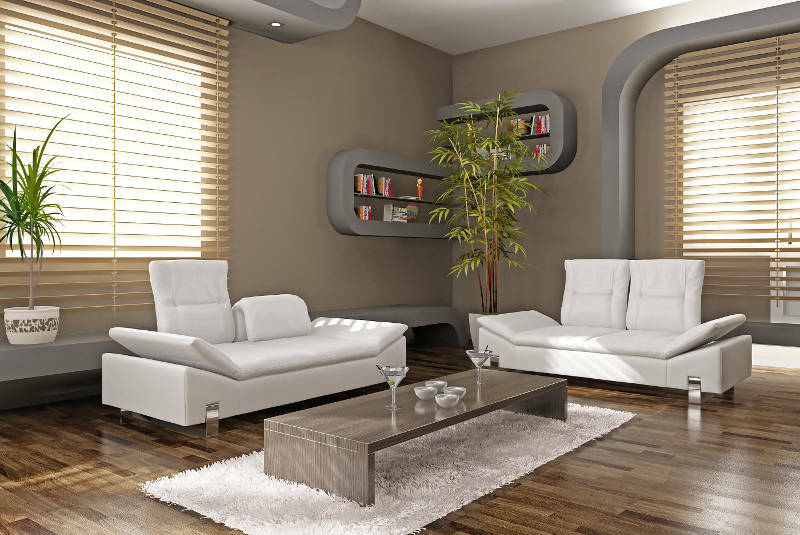 Their minimalist, natural look is also something that many homeowners want in their home. One of the most common traits of a modern home is the inclusion of sleek lines and it’s no different with your window coverings. While aluminum blinds are thought to be “retro” the sleek lines they create are giving them a comeback. 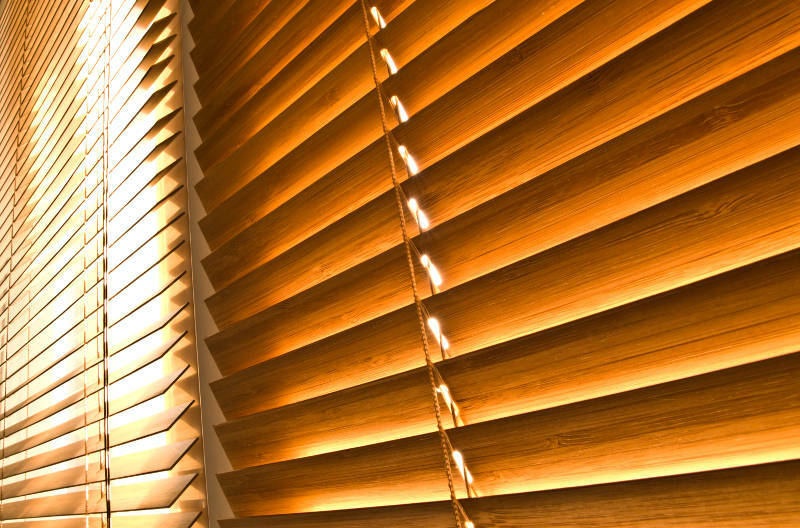 Also, wood slit blinds are the perfect combination of modern and traditional by giving your home sleek lines and a warm look. You can also get sleek designs from curtains with the designs on the fabrics. Having an angular design on your curtains will have the same effect as getting aluminum or wood slit blinds. Is there anything in today’s world that can’t be controlled by your smart device? You can even control your window coverings with your phone or tablet. Many homeowners love the convenience and control they have with smart curtains and blinds. All smart blinds and curtains have an app associated with them. You’re able to open and close your blinds with the push of a button. This is great if your hands are full and you want to open your blinds or you’re out longer than expected and don’t want anyone seeing that you aren’t home. There are so many window coverings available that there’s no end to the possibilities for your home. 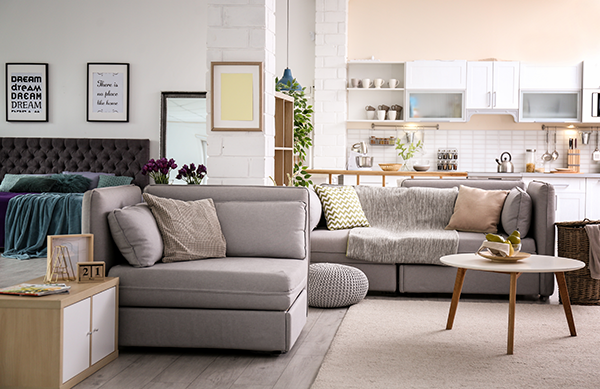 Whether you go with grand, luxurious curtains or small, minimalist blinds, the choice is yours. Your window treatments mean nothing if your windows are worn, old and out-dated. If this is the case for your home, you should consider window replacement. Feldco is here to help you with your next window project. Get a free quote now so you can have America’s #1 window company help you create custom windows for your home. Our product specialist will measure your opening and go through your style, color and accessory options. The windows of your dreams are only a click away.